We are designing our products using latest technologies. It is designed as per client requirement and which it also take the guarantee to neutralise the sulfuric acid fumes to the level of 70-75%pollution can be minimize to that level. 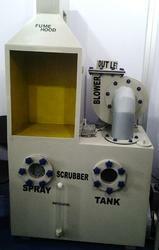 We assure our clients to provide upgraded technique and equipment for your disposal as and when market by us.